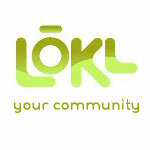 lokl(pronounced "local") is the local Vancouver city guide and business directory. Find out what's happening all around Vancouver or your local community or neighbourhood. Search for local events, restaurants, stores, attractions, and other things to do in Vancouver.